The best Porsche 911 RSR takes up Sunday’s race at Road America from the second row of the grid. In qualifying for the eighth round of the IMSA SportsCar Championship on the tradition-steeped 6.515-kilometre circuit close to Elkhart Lake in the US state of Wisconsin, Gianmaria Bruni clocked the fourth quickest time in the GTLM class with the #912 car. IMSA WeatherTech SportsCar Championship: A fortnight after its historic maiden victory at Lime Rock, the new Porsche 911 RSR now heads to its first outing on the legendary Road America racetrack on 6 August. After the successful trip to Canada, which yielded the first pole position for the new 911 RSR, Porsche now returns with the IMSA SportsCar Championship to the USA. IMSA: Patrick Pilet was forced to park his car in the pits, when he lost power just nine minutes before the finish. Dirk Werner set the fastest time in the GTLM class with the 911 RSR in Bowmanville. IMSA contests its only race in Canada at Bowmanville on 9 July. 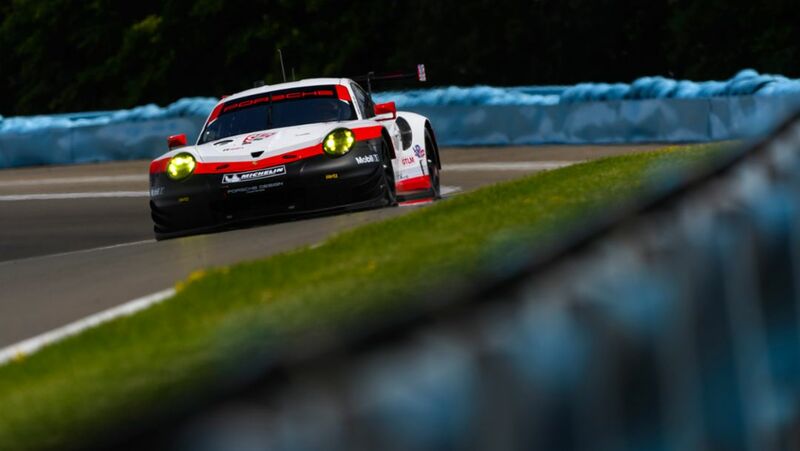 IMSA: The six-hour race in Watkins Glen at a glance. 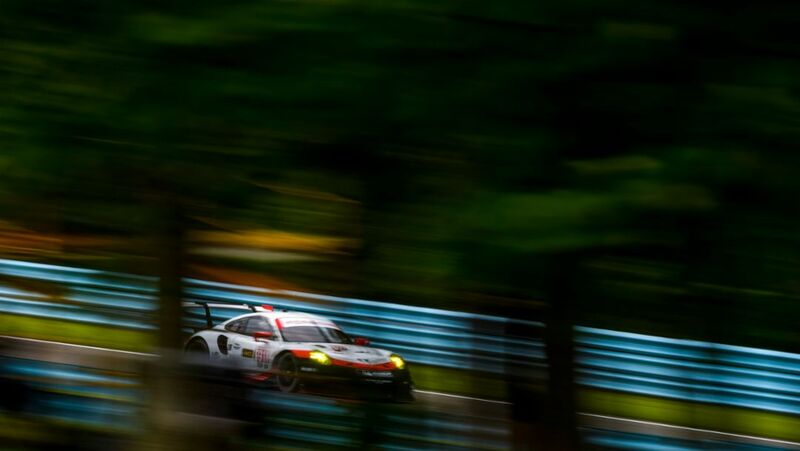 At the six-hour race in Watkins Glen, the best Porsche 911 RSR starts from the third grid row.